Last weekend there was a great story on CBS Local about Downtown San Jose. This gist is that Downtown is becoming Silicon Valley's new housing hot spot, with multiple high-rise residential buildings on the way and easy access to amenities, culture, and transit. The new buildings will be targeting tech workers, with rents in the $3,000/mo range. The story mentions that there are already 90 tech companies in the Downtown core, but avid readers will remember that we now have over 100! You can find the video and transcript below. 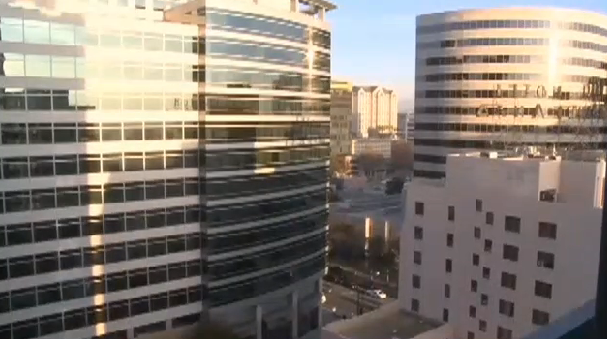 SAN JOSE (KPIX 5) — The city of San Jose is rolling out the welcome mat for tech workers and businesses to move to the city’s changing downtown. At a massive new high rise apartment building, workers are laying the groundwork for a new kind of downtown San Jose, one with thousands of new residents who are younger and hipper. People like Jeff Michaud, a manager in a Silicon Valley tech company, who just moved here from Austin. “A fair number of my co-workers live in San Francisco and commute down, I’m not a big fan of the commute,” Michaud said. His new home has gorgeous views with restaurants, shopping, entertainment and mass transit all just steps away. “There’s a lot to do, especially beneficial when you come home late from work. You don’t feel like cooking, I don’t have to worry about that,” Michaud said. With three cranes in the air, and at least six more condo and apartment buildings on the way, Downtown San Jose is the new housing hot spot in Silicon Valley. Even with rents already in the $3,000 a month range, high-tech workers with comfortable paychecks will fill up the buildings fast according to one realtor, causing a welcome economic ripple effect for other businesses. Ninety high tech companies are now located in the downtown core, one of them is Xactly. It makes sales-oriented software for companies such as Coca Cola. CEO Chris Cabrera said the company was lured by the prices. “When we first came to San Jose, it really was because it was the best deal in town. And when we came down here, it really was an unexpected surprise,” he said. The company is now doubling down on office space, relocating to a bigger building nearby for its growing workforce. “If we try to move, our employees would revolt because they love it,” Cabrera said. Downtown’s vacancy rate has gone from 29 percent to 18 percent in the last two years. But large holes and empty storefronts remain, including the failed San Jose Repertory Theatre, which is now vacant. The city is countering with a big marketing push playing up the downtown’s live/work environment. And for the first time, San Jose made Forbes list of America’s Coolest Cities. San Jose was 16th on the list, tied for Los Angeles.